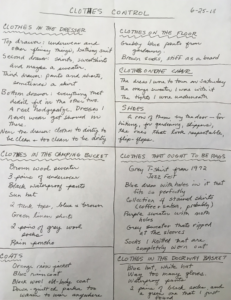 Write about your clothes by category. 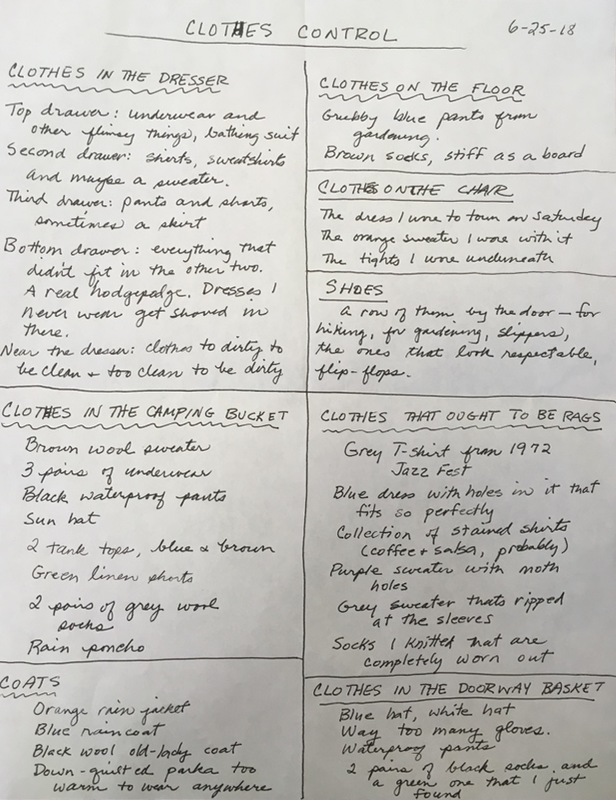 That is, group them somehow, and write something about the different groups of clothes. You can group them in dozens of different ways: by location, by function, by color. Comfortable clothes could be a group. So could clothes that you would never wear to church. Clothes you love, clothes you hate, clothes you keep but never wear. So many clothes! So many categories. However you write about your clothes, give your work a title when you have finished. Write the date on it, too.